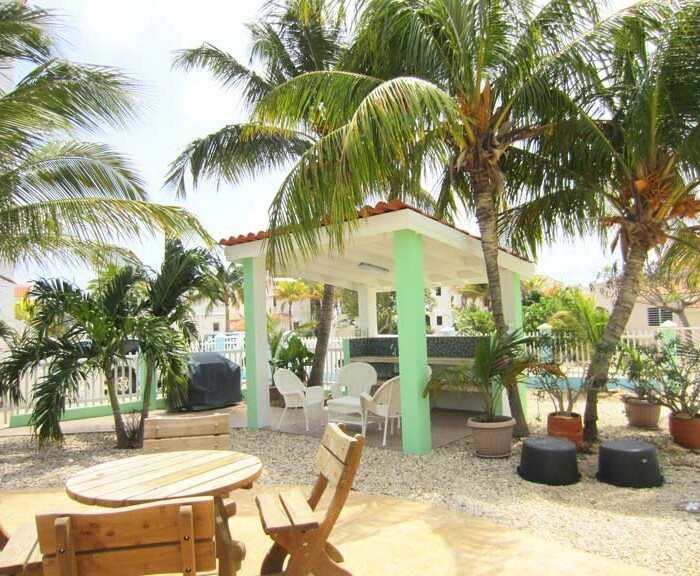 You’re coming to Bonaire to experience paradise, why not get the best of it ? 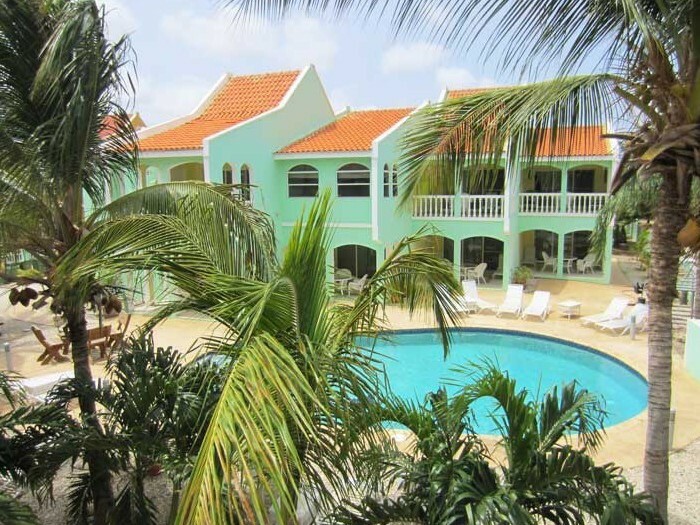 When comparing where to stay, Coral Paradise offers a fantastic location and easy access to some of the best scuba diving and snorkeling in the world. 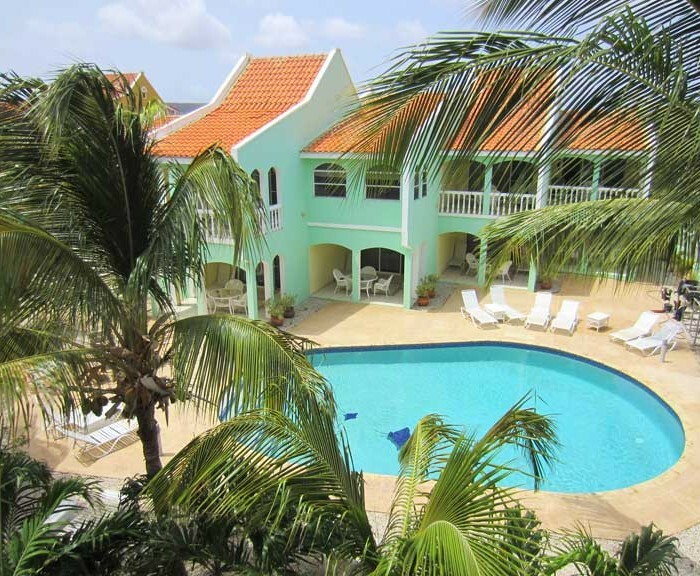 Coral Paradise offers full resort amenities, but without the crowds and a great atmosphere all in a property just steps from the ocean. With world class diving services and restaurants available, staying at Coral Paradise Resort will be a truly unforgettable experience. Around the resort you will find for your use : in ground pool with sun loungers, barbecue area with gas grill, prep space and sink. For your convenience we also provide rinse tanks, drying racks and individually locked large gear lockers. There is ample parking in our private car park that is secured over night. We also have on site a small shop with dive and vacation essentials and a book swap library. Included in all packages is a 4 door deluxe manual or automatic transmission pick up truck with air-conditioning. 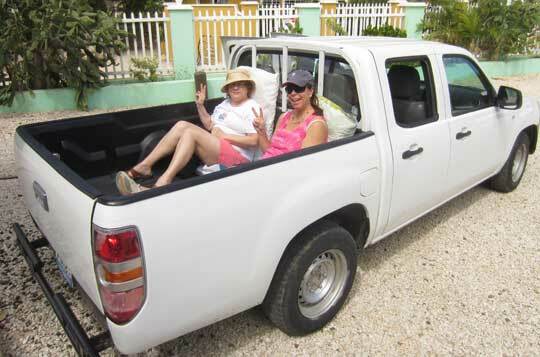 The perfect vehicle for diving and exploring Bonaire. A free taxi transfer from airport to Coral Paradise Resort is also included. Your vehicle will be waiting for you. Let us take the hassle out of renting your vehicle. All of our rooms have full kitchens and guests have access to our exterior barbecue just in case you want to eat in. If you decide to eat out we offer a breakfast buffet package at our neighboring resort’s restaurant. We can also help with dinner recommendations and reservations at any of the other great restaurants here on the island. NEW : on site dive tanks! 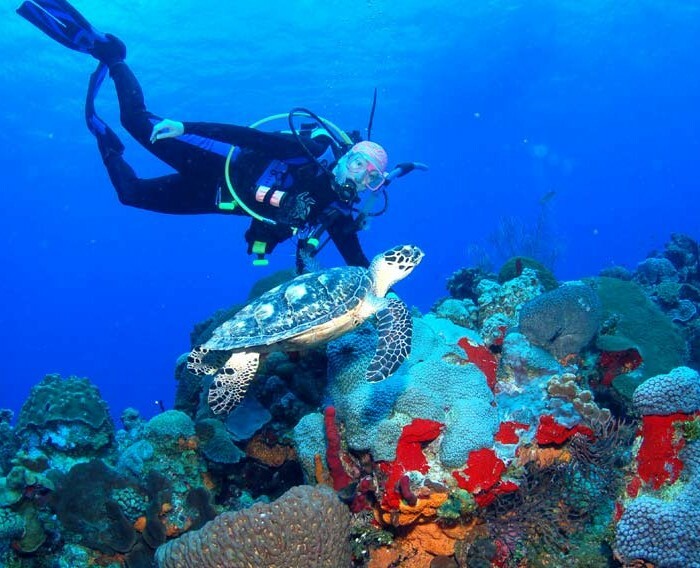 Bonaire diving has never been easier or more fun than with Coral Paradise Resort diving packages. 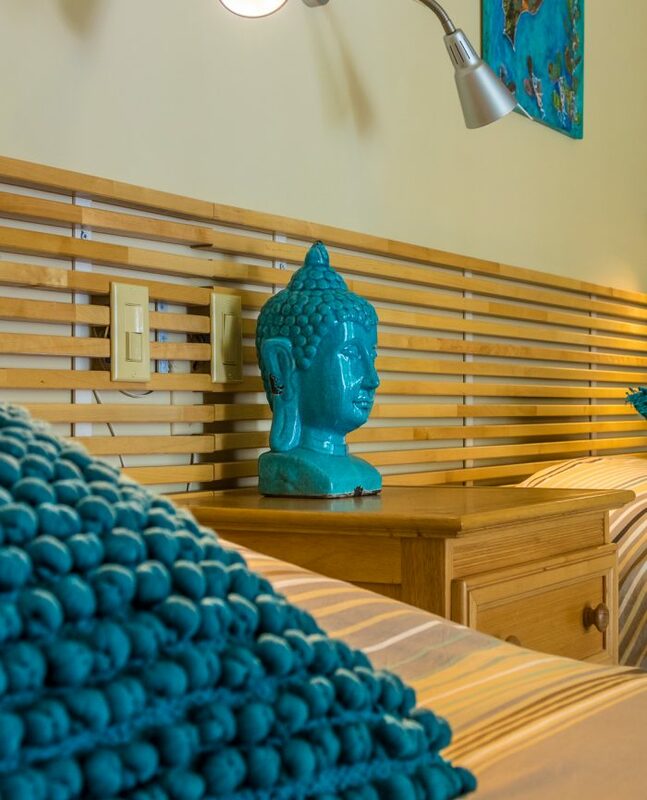 Conveniently located just a short walk from your room to one of our dive operators. Through them we offer a variety of diving opportunities, including 3 single-tank boat departures daily or a daily two tank boat dive . Shore diving is available 24 hours a day, 365 days a year. We also have dive tanks on site (air or nitrox) for your convenience. Whether you’re a New Diver or a Seasoned Pro we can arrange just what you want in the way of Boat diving, Shore diving, Dive Certifications & Diving Education. All required scuba equipment is available for rental or sale at our associated dive operator. Snorkeling is very easy to do off Bonaire, you can either start from the shore at one of the dozens of sites around the island and off Klein Bonaire. Or you can join the crew from one of the several operators who organize boat trips with guides. We can also offer you freediving courses with a world record holder ! Either way you will discover a world of colors, life and fish !!! 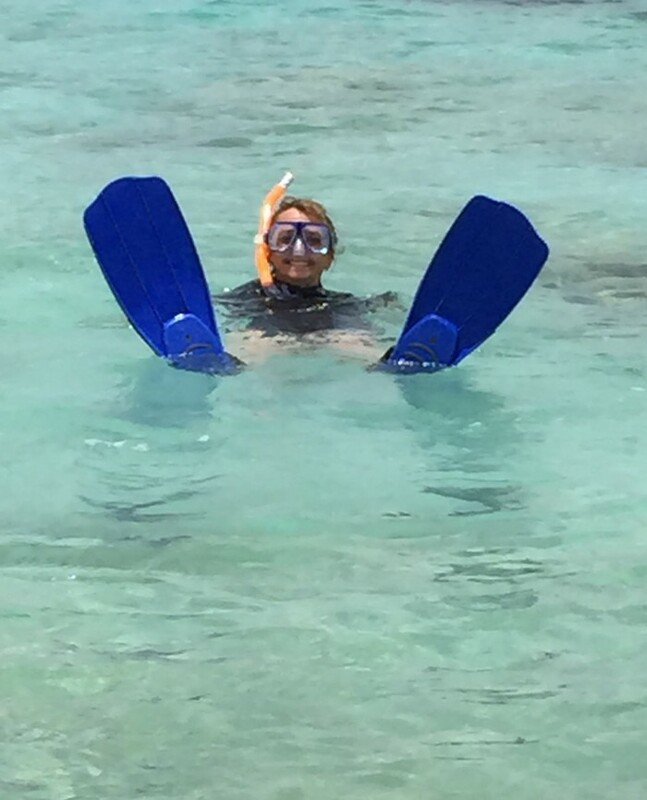 Let us help you organize the snorkeling or freediving trip of your life ! 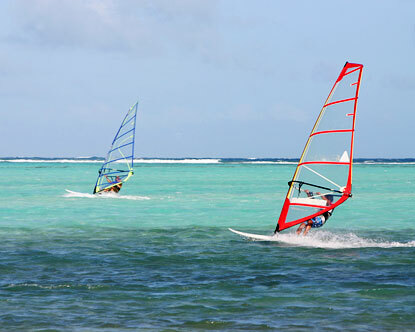 In the other ‘’surf’’ sports category, there is oppportunity for : Boating, sailing, kayaking, fishing, windsurfing and kite surfing in the wonderful waters of Bonaire. Home of windsurfing world champions don’t miss out on your chance to try this wonderful sport for the first time or perfect your technique on the waves among the best windsurfers around ! On the “turf’” side you can : go hiking, caving, horseback riding and bird watching. 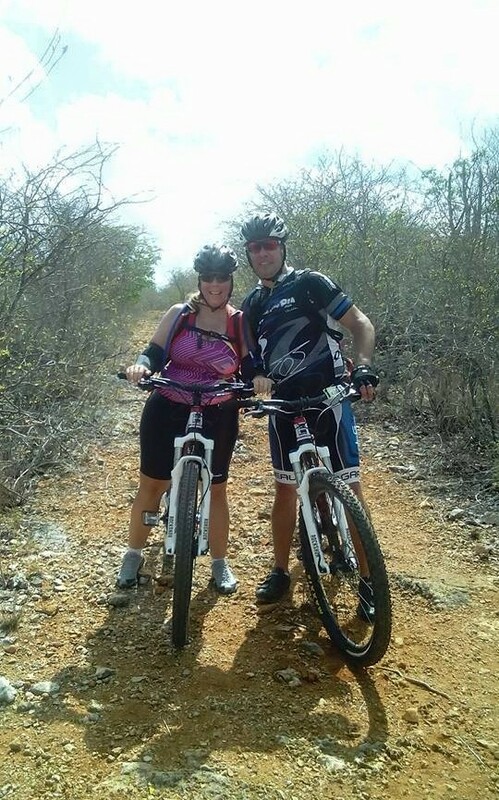 Another way of discovering the island is by taking a bike ride; you can circle Kralendijk (our capital) or go to Slagbaai National Park. Nothing stops you from working on your tan on a beach either ! Photography in Bonaire is awesome! 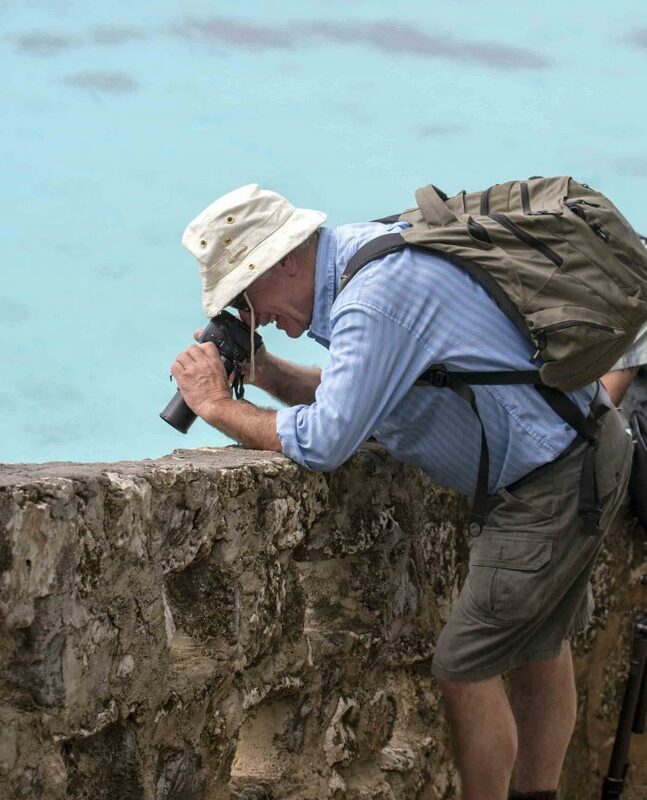 Let us help you book an island photo tour or a photography course with a professional from Bonaire ! Not all classrooms have four walls ! Wonderful souvenirs guaranteed !